With Christmas time right around the corner, it’s getting down to the wire to find that find that last minute gift for everyone on your Christmas list. While this task is something that we’re all familiar with (and stress over) for parents of kids with physical disabilities this task can be something that’s even more stressful. For many such children playing with off-the-shelf toys is not possible, which is where Hacking for Holidays comes in. Last Saturday I took part in a DIYAbility’s and the Adaptive Design Association Hacking for the Holiday’s, which sets out to invite makers, hackers,occupational, music and recreational therapists to come together and hack some toys, to make them switch accessible, for children with physical disabilities. 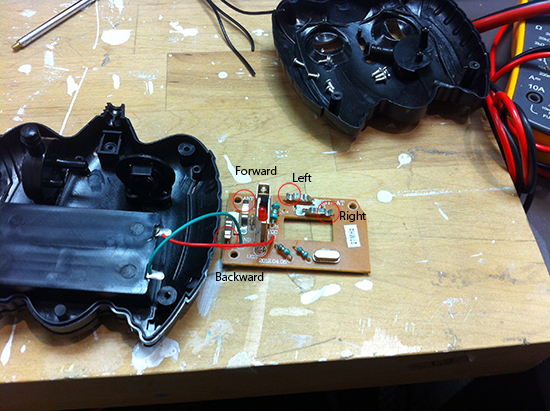 The term “switch accessible” refers to the idea of making the toy usable by simple switches which can connect through a mono jack in the toy. If a child can move their head, feet, arm, mouth or any other part of their body it is possible to use a switch pluged into a mono jack to play with the toy. 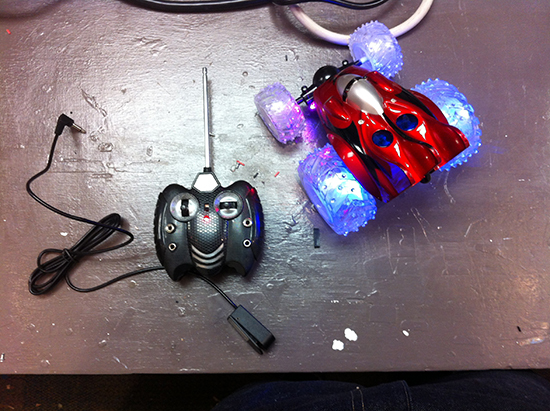 For example, rather than using a joystick to control an RC car, tack switches or momentary switches can be substituted. Adding these switch jacks to a toy does not affect the original toy; the existing buttons will operate as normal and kids who use accessibility switches will now be able to operate the toy, so it works for all users. 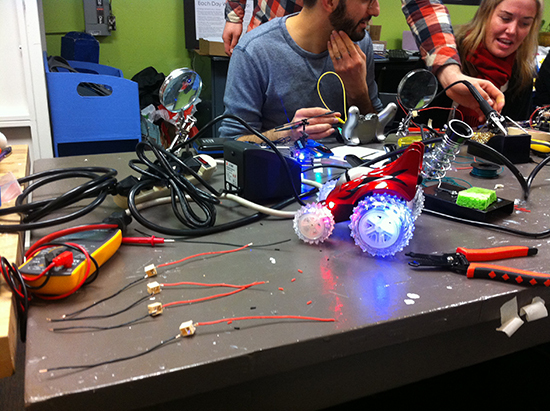 As part of the workshop, each participant brought a toy to hack, and together as group we worked toward integrating simple mono-jacks into the toy. For my toy, I chose the Fast Lane Lightening Striker. Opening up the remote control revealed four simple spring clip switches(forward, backward, left, right), which would serve as the soldering points for the mono jacks. Isolating the PCB from the housing I soldered up four monojacks and then soldered them to the spring clips. A few holes in the housing to feed the monojacks through and the toy was back up and running with the ability for accessibility switches to be plugged in. We love designing around the physical world because it gives us more sensory experiences to play with, relate to, and personalize in order to trigger strong emotional responses. The digital world, on the other hand, offers the benefit of being efficient. It allows scalability and the possibility to share what’s been created and experienced. It also offers the potential to learn and update in the background. So how can we find balance between the analog and the digital to maximize the emotional value of a product? To answer this question, I started by analyzing media consumption (text, sound, image), looking for strengths and weaknesses for each category from an emotional point of view. 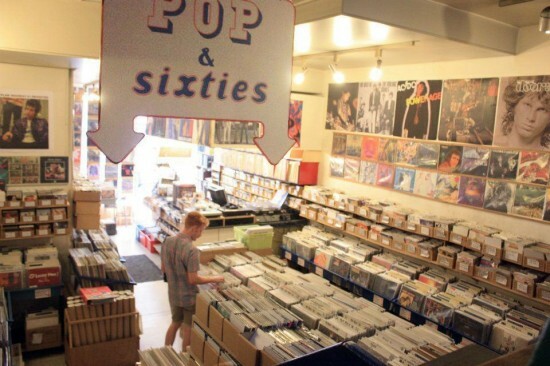 For example, for sound, physical albums don’t let you transport your music the way you could with an MP3, but they allow for a richer gestural ritual. Albums are easily scratched, but because they are fragile you develop a deeper attachment to the object because you want to protect it. 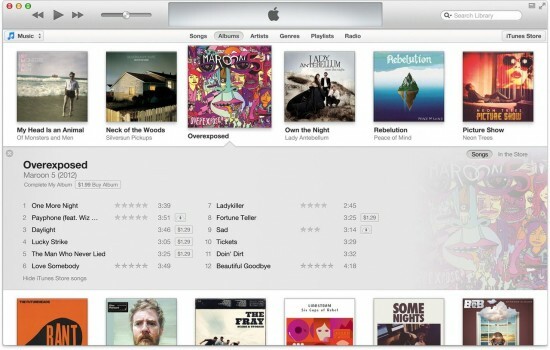 On the other hand, digital music allows for sharing, portability and easily navigating among songs and albums. I tried to identify patterns and similarities that lead to an anticipated emotional response and a cherished product by leveraging the meaningful parts of the analog while harnessing the power of the digital. These are summarized in the 6 principles below. 1. Create rituals through the senses. Use different emotional triggers from the experience such as materials and shape, and enable a step-by-step discovery. Gesture matters. Letting people connect positively to an activity in a physical way builds memorable interactions. 2. Be conscious of the value of tangible things. Give objects character through unique forms and materials, and implement a sense of lifetime and age. Make the link between the medium and the content visible to create a feeling of responsibility and care over it. 3. Craft personality through the look and feel and the details to help build product identity. 4. Offer the opportunity to create a personal mark. Take advantage the tangible manifestation of a physical action on the content, and highlight the data through display. The interface should be able to learn from you and help you empathize with the object. 5. Bring focus to the core experience. Define a limit to information coming in and the type of information given in order to offer a more curated experience. 6. Enable people to pass experiences on to one another by making the missing item visible when shared, giving a second life to the data and allowing people to share their experiences. One key insight we gleaned is that the best digital experiences are enhanced by the platform they are in. Historically, so many digital experiences have been delivered through a single platform. 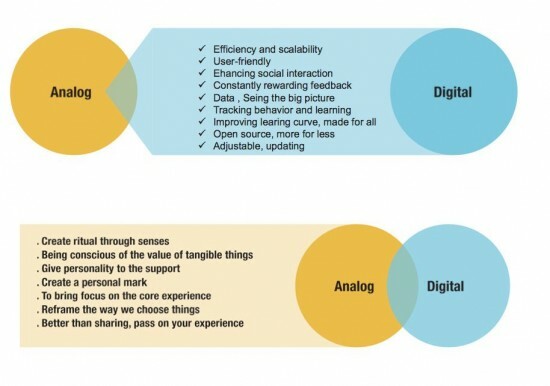 The Internet of Things has the potential to release the tension between digital and analog by making digital more tangible. We believe that designers should break through the barriers of the screen. An object should be able to live on its own, not only through a virtual platform, and bring new forms of interaction between the user and her environment. The diagram below summarizes the key moments of a physical book experience. And this diagram has the key moments of the experience of an e-reader. Smart Interaction Lab’s Erika Rossi recently gave a talk at TEDx Salzburg event, where she presented her Master’s thesis project I Mirabilia (“The Wonders”), a set of interactive dolls for hospitalized children. TEDxSalzburg was a great experience and an amazing opportunity to share my project while making new connections with inspiring and smart people. The conference theme, “I CAN HEAR YOU–YOU CAN HEAR ME” focused on people’s need to be heard, and the fact that while they’re struggling to gain attention, they tend to forget to listen. I Mirabilia (“The Wonders”) are a family of three interactive dolls for children who spend a long period of time in hospital, due to terminal illnesses or periodic therapies. Drawing on interviews and observations in a children’s hospital, three dolls were designed to help overcome specific emotional difficulties faced by children in this situation. The different interactions and behaviors triggered by the dolls enable the children to improve their relationships and make new connections with the people within the hospital, such as doctors, psychologists and other hospitalized children. The other talks covered a wide range of topics, from a new interactive platform for learning music by Albert Frantz (http://www.key-notes.com/) to how the latest sensor technology could be used in healthcare applications to improve patient’s monitoring by Fritz Höllerer (http://www.aeskulapp.com/). Overall, it was a wonderful experience! This summer Pratt Institute instructor and SVA IxD MFA candidate Steve Faletti worked closely with Smart Designers and the Lab on a range of prototypes and experiments as part of his internship. A big part of his process involved using microcontroller platforms such as Arduino, though lately he has become fond of some alternative boards. In this blog post, Steve shares the pros and cons of a variety of the tools and methods he’s been using, along with a summary of his typical workflow, from coding to compiling. I feel obligated to begin this post by saying how much I love Arduino. 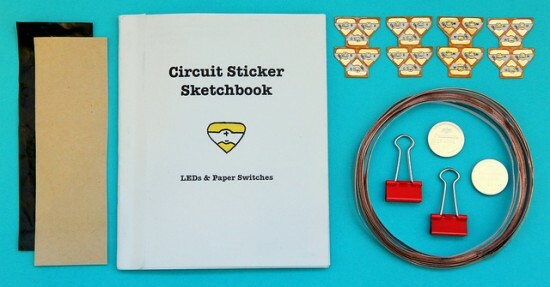 It’s an amazing project that has put physical computing tools and understanding in the hands of many artists, designers, students, and hobbyists. 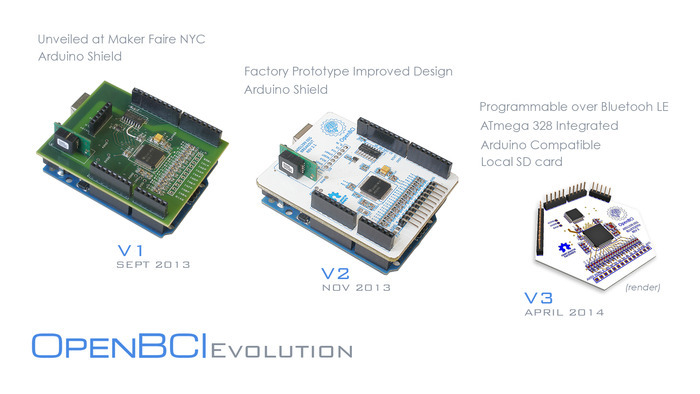 It has changed the world and has become synonymous with microcontroller development and low-level computing. It was my first foray into electronics, providing not only a relatively painless path into playing with microcontrollers, but an immeasurable amount of information and learning along the way. I really do love Arduino and am infinitely thankful to the wonderful people who conceived of and develop it, yet lately I rarely use it in prototyping or development. That’s not entirely true since I still use the language, libraries, and compiler chain extensively. Software capability and efficiency were the Achilles heel of the project in its early days. In those days—before the board even had a USB port—analogRead and PWM were convenient compared to setting up timers and bit-flipping ports, but used more than a few extra clock cycles to provide that. Now, nearly a decade later, those core libraries have been trimmed down and make much better use of the AVR resources. 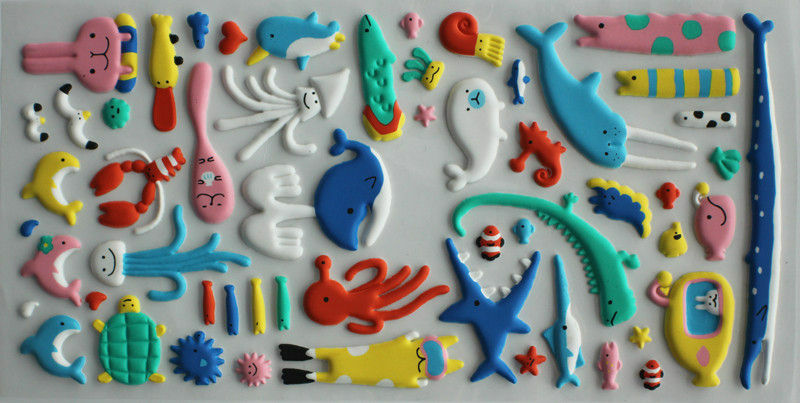 They’re fantastic. 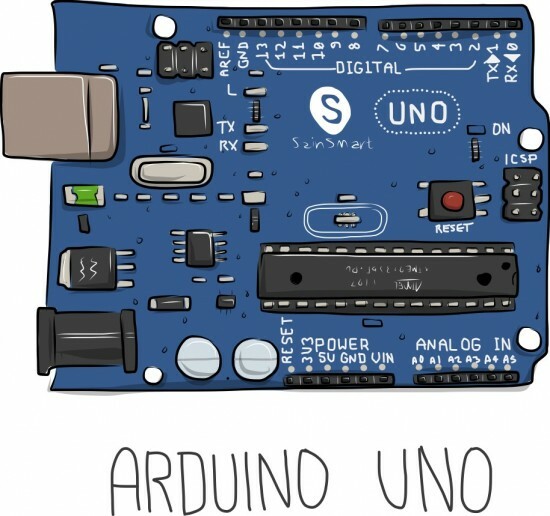 The core language is great, and keeps growing and evolving for both functionality and speed, but the greatest value of the Arduino project is the thousands of available libraries. When I first started using Arduino, I needed to set up a servomotor for a project. The Servo library either didn’t exist, was unstable, or I just did not know about it, and it took over a week to figure out how to write my own—very buggy—code to control one. Now, while I could roll and debug my own servo code inside of an hour, it only takes about 15 seconds to grab the library and implement an object. Or two if I need it. The same goes for debouncing buttons, accessing EEPROM, communicating via SPI, or countless other tasks. This is the real power of the Arduino project; the huge community of developers that have created and refined simple-to-use and accessible code. (I like to think of Arduino more as an AVR framework than its own microcontroller, and I somewhat lament the fact that the two names have become synonymous.) So, with some regret, here are the reasons why I frequently avoid using the rest of Arduino framework. The hardware is too big, too expensive, and too limited for my needs anymore. Originally built to be something of a standalone development tool, and based on components sourced in 2005, the standard Arduino footprint is massive. There is also the weird legacy error in pin layout that will forever lock the Arduino to its unique footprint. I like to keep my circuits completely on the breadboard if possible, and the standard Arduino doesn’t allow that. They’re also $30 a pop at the time of this writing. I use a lot of microcontrollers and tend to leave them in projects. Most of the time the cost and size just don’t make an Uno a viable option. **Note that I develop on OSX, and than instructions here have only been tested on that OS. Some of the software I use, like Cornflake Terminal, is only available for the Mac. There are many Windows and Linux alternatives and equivalents. For simple projects I tend to either burn the Arduino bootloader straight onto a bare ATMega, or buy one preburned, and then essentially build an Arduino around it (it’s not hard, and a great learning experience—do it at least once). 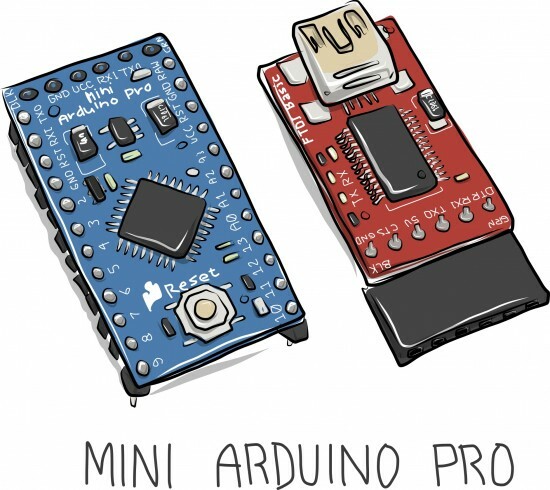 I’m also a hug fan of the ‘Pro’ line of Arduinos from Sparkfun, especially the minis. They’re just cheap enough that I don’t care if I lose or fry one, yet save me 5 minutes of hooking up wires. Note that to program either of these stripped down options you will either need some kind of FTDI convertor or cable, or you can use a standard size Arduino. I find that many of my projects require some kind of interface with a computer, and here the ATmega 32u4 is my new favorite chip. This is slightly different from the 328 on the Uno. It offers more I/O connections, more analog pins, and, most importantly, built-in USB capability. This means that not only do you not need another chip to translate between it and your computer, it can also easily emulate keyboards, mice, and joysticks. Arduino has offered this chip for a while in the Leonardo package, and more recently as the Micro, but I greatly prefer the Teensy 2.0 from PJRC. It ridiculously small, fits on a breadboard, and only costs $16 if you’re willing to source your own header pins. 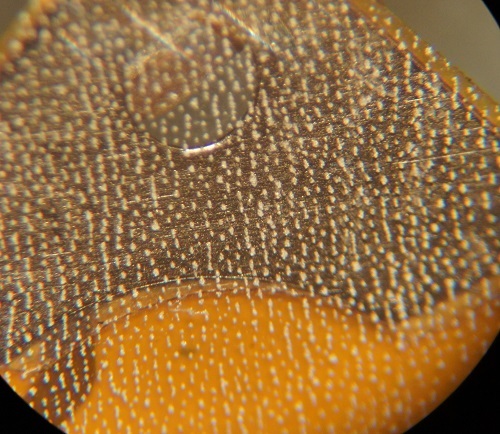 There are usually a few rows of these lying around my studio and soldering them on takes a couple minutes. While this is the same chip in the Arduino options, I find that the bootloader and USB profiles (not open source), are a bit more reliable. 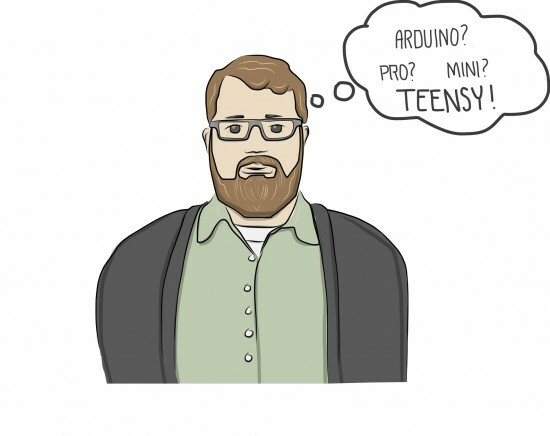 Teensy’s developer, Paul Stoffregen, is a big fan of Arduino and maintains regular communication with the community. 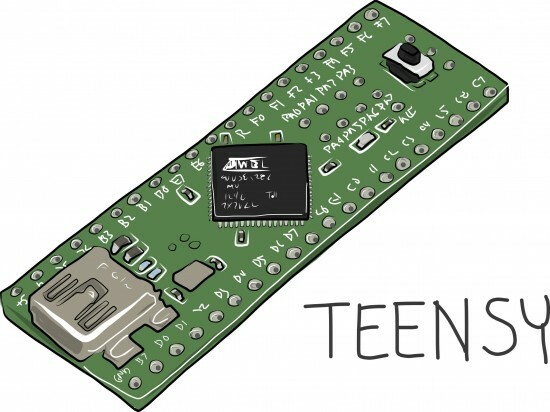 As such, he’s ported the loading protocol for Teensy into the Arduino chain by way of a convenient plugin, called Teensyduino. With this installed, there is almost no difference between working with Arduino or Teensy, and the same code can be uploaded to either platform over 95% of the time. Teensyduino also offers the option to add just about every working library upon install, which means I don’t need to go hunting for one later. Paul has also built an ARM-based micro board, called the Teensy 3.0. It’s also cheap, compatible with Teensyduino, easy to work with, and powerful. Paul recommends pairing it with a Raspberry Pi to get a nice, inexpensive, and powerful hardware setup that can handle advanced sound, video, and connectivity. I don’t have any experience with the ARM-based Arduino Due, and looking at the specs, I don’t know that I would try to compare them directly. The Due appears to have more features and pins while the Teensy 3.0 is less than half the price. I want to wrap this up by talking about my choice of IDE. In addition to physical computing projects, I do a fair amount of screen and web work. My favorite editor right now is Sublime Text 2. It has some great features, and with the huge collection of packages available, it is very powerful. Anybody who writes more than a few lines of code a week will quickly grow to hate the Arduno IDE, based on Processing. There is nothing wrong with it per se, it’s just a very bare bones editor, offering little more than clean up and highlighting. Thankfully, the Stino project exists to essentially plug the Arduino IDE into Sublime Text 2. I’d suggest using the excellent Package Control plugin for Sublime, though if you’re resourceful you can do it manually. This will allow you full Arduino functionality inside the Sublime editor. You can edit, choose a target board, and upload sketches. It has a serial monitor built in, though I usually use Cornflake. It also brings in Teensyduino, provided it’s already been installed. I use the ST2-Arduino snippet set for completion. This unfortunately needs to be installed manually, but it’s not that hard to do. I just git-cloned the repository into my ‘Packages” folder. I honestly don’t know if this is the preferred method, but it seems to work just fine. This article may help. So, Arduino is great. Really, really great. But I’ve found that as my development skills grow and I look for more flexibility and convenience, some of the tools offered by the project no longer fit into my workflow. That’s fine. 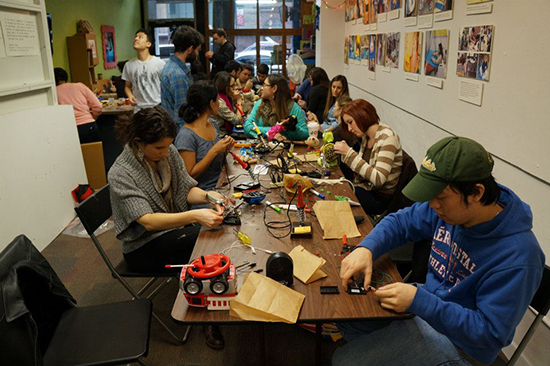 the Intent of Arduino is to help people learn about electronics and physical computing. The fact that parts of it are amazing for rapid prototyping and development is a bonus. Have any tips of your own to share? Is there a new development board that you’re enjoying using? Let us know! At Smart Interaction Lab, we’re already obsessed with putting sensors on our pets in the name of Internet of Things research. 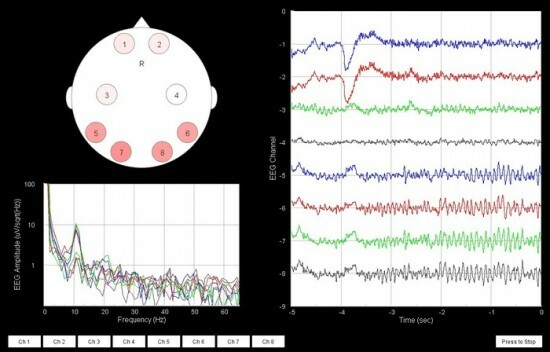 In addition to hacking existing bands like FitBit and UP, we’ve been experimenting with more home-grown sensor combinations to see if we can tease out meaningful data that will help dogs and their owners feel more connected. The collar basically contains an accelerometer to track the amount for movement that has taken place, and then couples that information with timers so that the movement can be translated into the length of walks, naps, runs, etc. 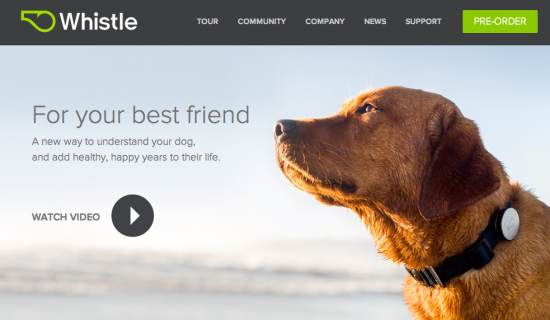 It has a database for comparison with dogs of a similar breed and age, so users can put the activity into context and know what’s expected of a healthy dog. The Whistle syncs with the app using WiFi or Bluetooth 4. 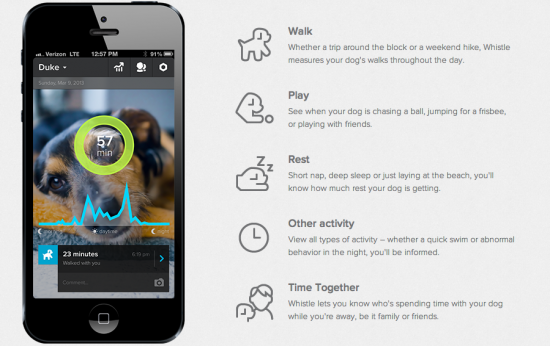 We love the idea that dog owners can know what’s happening with their best friends whether they are together or not, and that they can track trends over time to get a sense of when Fido is losing steam or showing a change in behavior. The app also allows them to compile a report to share with a veterinarian, so that all the information can be accessed easily by the vet or during an office visit. It’s long been a sci-fi fantasy to have doors that automatically recognize you, and selectively choose whether or not to grant access to other people who approach it. With internet-connected Internet of Things systems we are one step closer to making that fantasy a reality. 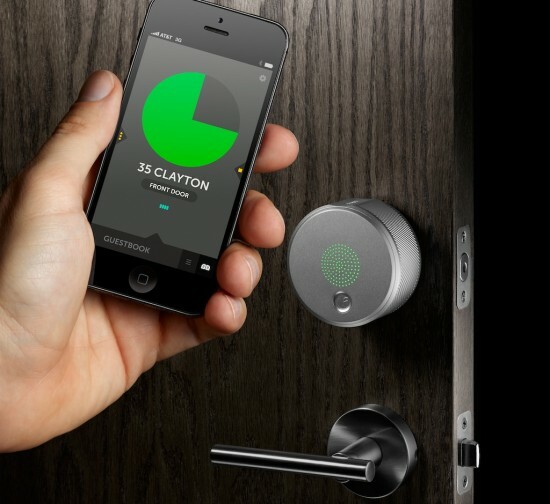 Since Smartphones can be used to communicate with a lock, and the lock itself can be connected to an online database, new products can offer selective keyless entry based on conditions set up by the lock’s owner. A cloud-based service can be used to organize and control who has access to our home and when. 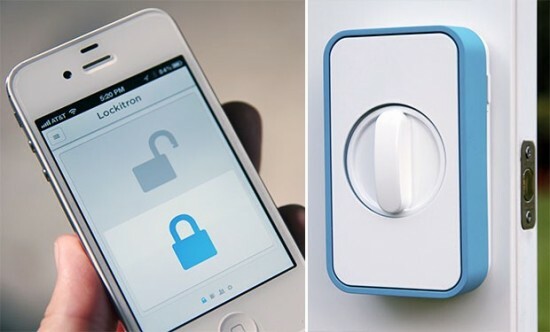 Lockitron, shown above, was the first on the scene with their Kickstarter campaign in early 2011. Originally set up as an entire lock, they are now offering a product that’s an add-on to existing locks. Through a combination of Bluetooth 4.0 and wifi, almost any smartphone can be used to control the lock from nearby or a remote location. August (shown at the top of the post) is the slickest of the bunch, with a pretty glowing face and robust look. It communicates with a Smartphone over Bluetooth, and then the app handles interactions with the server. The product description also boasts the ability to distinguish whether a person is inside or outside. The company’s video does a nice job of explaining why you would want one of these. 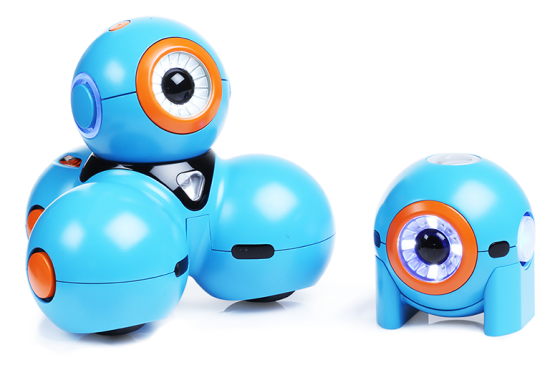 Goji, above, is a relative newcomer, and is similar to August and Lockitron, but with a few additional features such as a camera that can use WiFi to send you a picture of who is at the door, and key fobs that you can give to kids or others who might not have smartphones. It also boasts the ability to know whether you are inside or outside. It’s clear that the Internet of Things is upon us, and products such as these will be entering people’s homes regardless of security risks. We hope that as they become more sophisticated, their ability to thwart would be hackers becomes increasingly better.